I recorded this video the day after a massive Facebook and Instagram outage, but it’s message is relevant whenever you’re watching it. Social media is a powerful marketing tool for your business, but you still need a website today. Your website is the hub of all your digital marketing activities. Your website is your home on the internet, your front door to customers and prospects everywhere. It helps visitors learn more about your company and how you can help them. They can find your website via search engines, social media platforms, advertising campaigns and even offline marketing efforts. A well-designed, updated website improves your search engine optimization (SEO) efforts and works with social media to enhance your online presence and give your business credibility. So, does your business or brand have a website? If so, drop it in the comments, so we (and our readers) can check it out! If not, let us know why you don’t feel that you need one. What questions do you have about your website or websites in general? How do you find information today? Chances are, you Google it. That’s the same way that potential customers find information on your products and services. Will they be able to find you? This handy infographic by the UAB Collat School of Business explains the science behind Google, as well as other search engines. How can I improve my site’s rankings? What differentiates Google from Bing and Yahoo? For more information on UAB’s Master’s Degree in Management Information Systems, please visit http://businessdegrees.uab.edu/mis-degree/masters/. Are you interested in improving your SEO? Check out our other posts on search engine optimization, including 5 SEO Techniques That Will Boost Your Web Presence, or contact us to discuss driving more targeted traffic to your website or blog. What’s your favorite search engine? What’s a product or service that your searched for online? How did you find the CCC blog? I know, I know; 2015 isn’t even over yet, and we’re already talking about 2016. Digital marketing trends move fast, so you always have to look at what’s next to stay ahead of the game and start adapting your strategy early. If you can pinpoint the major marketing trends of the next twelve months, you can begin budgeting for the change, and subtly change direction now. Take a look at these four new trends, and think about how you can move towards them. Mobile growth had an important year in 2015. At the start of the year, mobile browsing finally overtook desktop and laptop browsing. More people are using mobile devices to get online than any other technology, a trend that is expected to continue to grow in 2016. We’ll also start to see wearable technology find its feet and establish itself, which means coming up with unique location-based marketing strategies. How can your company harness your customer’s location to its benefit? Finally, it’s time to start thinking seriously about developing an app. Until now, digital marketing has focused on short-term success. It’s been all about hitting certain numbers of Facebook fans or Twitter followers, and making quick, easy sales online. After all, the Internet provides a forum for real-time conversations with customers and prospects 24/7. The most successful marketers are slowly realizing that a more traditional approach might actually be more cost effective. By nurturing customers for longer, they can double or even triple their sales over time. Start thinking about a way to retain customers, and make the second, third, and fourth sale. It’s no secret that Google is always updating its algorithm. Every year, the search giant introduces a new change, and every year, it gets smarter. That means your SEO strategy needs to change and adapt alongside it. We asked the experts at Pay On Performance about what SEO will look like in 2016, and here’s what they told us. First, we’ll need to be more careful and targeted with our keywords. Don’t add redundant or unrelated keywords to pages and posts, and focus on long-tail keywords for more traffic. We’ll also need more organic and natural back links to bring more visitors to our sites and blogs. Finally, we’ll need to focus even more on producing quality content and new metrics like ‘time-on-site’ and engagement. That’s what Google is looking for in 2016. If 2015 proves anything, it’s that social media isn’t going anywhere. Many predicted that Facebook’s bubble would eventually burst, but it shows no signs of slowing down (although Twitter has hit a stumbling block). In 2016, Facebook will integrate itself even further into our lives, but it doesn’t end there. Instagram and Pinterest have posted enormous growth figures in 2015. Statistics also show they have much higher rates of engagement and drive more sales. These two platforms will be critical for you next year, so start building a strategy now. Taking note of these trends now will help you get a head start on next year! Where do you think digital marketing is heading? Please share your thoughts in the comments below. Are you thinking about adding new platforms into your social media mix? Does your digital marketing strategy need an overhaul? Let’s talk, so we can put together a plan for you. p.s. Wednesday, October 21st is ‘Back to the Future’ Day. What technology from the 80s blockbuster do you wish we had today? The success of your blog begins with good design. Why? The average attention span in 2015 is 8.25 seconds, continuing a downward trend. In other words, visitors won’t stick around if their first impression is negative. Make sure the design of your blog is user-friendly and easy to navigate. There should always be a search bar for people to look for posts on specific topics quickly. Also, you should have menus displaying your categories (and tags, if applicable). Ensure that the overall design is easy on the eyes too. You don’t want there to be too much going on, distracting visitors from consuming your content. It should be simple, but classy, and reflect your brand. It’s not that hard to come up with a good blog design with a little help. And, if you do, you’re on your way to a successful blog. One key to all popular blogs is regular posting. If you have a blog that you like to read, you prefer that they post regularly. It’s hard for people to get involved with a blog if you’re posting once a month. Viewers want regular content, and frequent posts will only see your view count increase. Naturally, you should make sure that all your posts are of a high standard. Don’t post any old thing just for the sake of posting. You have to post good content on a regular basis to run a successful blog. Affiliate marketing is a clever way for your blog to make some extra money. You will work in tandem with another company and promote something for them. You could write a blog post reviewing one of their products or services and link back to their website. You’ll then receive financial payment depending on how many of your viewers click on the link and visit the affiliate’s site. If your blog is generating a lot of traffic, you’re likely to make more money! First, you need to find some affiliate marketing platforms, and sign up with one that you like. The company will add your blog to its database and contact you if they find an affiliate that’s a good match for your blog. It can be a great way to earn some money and help make your blog successful. You want your blog to get a lot of views, earn money and be a success, but you’ll only get views if you market it properly. The best ways to market a blog are by improving SEO and using social media. 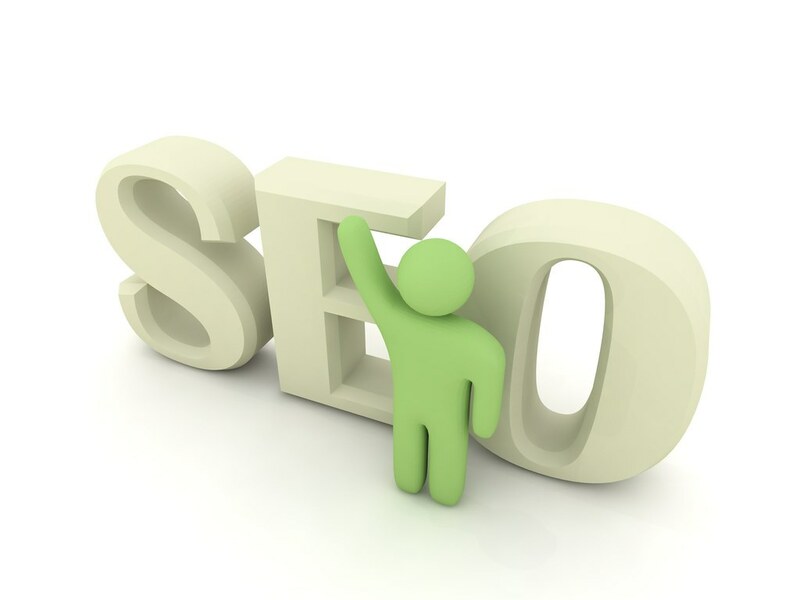 If you improve the SEO of your site, it will rank higher in search engine rankings. Work on improving your ranking for relevant keywords, and focus on long-tail keywords, which are easier to rank for. For example, shoes (or even running shoes) is a short-tail keyword. Women’s trail running shoes for flat feet is a long-tail keyword. Similarly, social media is the perfect place to promote your blog to millions of people. Make sure you post links to your latest articles across various social media platforms, formatted appropriately to maximize exposure on each platform. Use hashtags to increase the the eyeballs on your posts and strong calls-to-action (CTAs) to drive potential customers to click through to consume your content. Are you interested in blogging or improving your blog? Check out our previous blog-related posts or contact us with your questions. We love supporting fellow bloggers, so drop your blog link in the comments below or suggest your favorite blog to read. A strong online presence is essential in today’s market. Without the help of digital marketing, your business is already one step behind. It’s that simple. To make sure that you never fall behind the curve, here are five marketing trends to keep you current. These are relevant right now, so prepare to adjust and adapt in the coming months. Is your digital marketing strategy up-to-date? Whisper it quietly so no one can hear you, because you might start a riot. Google, the king of the Internet’s search engines, might be on the decline (and is certainly going through massive changes). That doesn’t mean that the search giant isn’t still relevant. Google holds the largest market share and is one of the biggest brands on the planet. However, consumers are starting to want more from their search engine. Some just want a change because Google has been around for too long. SEO is too important to put all of your eggs in the same basket. One platform that you have to rely on is mobile. Unlike Google, mobile technology is at the peak of its powers. More than ever, consumers around the globe are using mobile technology to make purchases. Right now, there is an obsession with everything mobile that does not look like it is going to subside anytime soon. Remember that mobile technology is the technology of choice for over half of the world’s purchases, so it’s crucial to incorporate mobile technology into your digital marketing strategy. A Magento developer has never been more important for e-commerce and online payment websites. With the rise of the Europay, MasterCard and Visa card, or EMV for short, a new age of online purchases is here. Today, you need more from your developer than ever before. They have to be able to install and input these new techniques into your site because the world is quickly embracing the technology. EMVs are supposed to reduce the risk of fraud and data breaches, so you can see why they are becoming more popular. Unless you have been living ‘off the grid’ for the past several years, you know all about the benefits of social media for business. However, one tactic that is often left is the ability to start a conversation. Yes, social platforms are a great source of inexpensive advertising, but they also allow you to connect to your customer base. By connecting with your customers, you have the ability to improve your conversion rates. Sometimes, a simple conversation is all it takes to get to know someone and create a sense of loyalty. The trend of paying for advertising is not a popular one, but it is here for the long-term. As a result, paying for online advertising will provide a boost to your marketing strategy if done correctly. What do you see as the biggest digital marketing trend right now? What will be the biggest digital marketing trend in 2016? Which social network do you prefer for your brand? If you need help with your digital marketing strategy or have any questions, let’s talk. Search engine optimization (SEO) is something that every website and business owner needs to use and understand. Here are 5 techniques to help you get started and boost your web presence. It’s important to make sure your website’s URL is search engine-friendly. This is important when you’re setting up a website for the first time. The URL should be pretty easy to understand when people see it. It should include words that are recognizable and say something about what is contained on the web page. It’s easy enough to change your URL even if your website has been in use for a long time, so consider this option if you’re not seeing the right traffic. It’s impossible to overestimate the importance of using the right keywords. They need to be used in almost every part of your website, including your titles, content and image names. You need to think about how your keywords translate as search terms. This is important because the whole point of SEO is to customize your website so that it’s easy to find on search engines. So when you have a web page, you should think about what people would type into Google if they were looking for it. It’s vital to get links back to your website on social media. This means linking back to your website and trying to get links from other people and accounts. The first part of this is easy. You just need to provide links to your website alongside a short tweet that outlines what you’re linking back to. But it’s more difficult to get other people linking back to your website from Twitter, Facebook and other social platforms. It’s not impossible though. Building a strong following on social media and linking to other people’s websites will help. Internal links are one of the most basic, and one of the most important, parts of getting your approach to SEO right. It’s a simple and easy way to improve the traffic to your various web pages. It’s also helpful for visitors who might like what they’re reading and want to see what else you have to offer. This doesn’t mean you should go over the top with it though because then it will look unnatural. Make sure that the link is natural and relevant to the text if you want the best results. There’s no reason to try and take everything on by yourself. If you’re not an SEO expert, then it’s always a good idea to get help from external companies that specialize in this area. Of course, you can do the basics, like the things mentioned above, by yourself. But for the more complex tasks, it could be a better idea to use the expertise of someone else. This guide will give you more information about tools and companies that can help with your website’s SEO. SEO is an important part of your marketing strategy. If you have any questions, we’d love to talk. How Flexible Should Your Blog Schedule Be? Blogging. As a small business owner, writer or business professional today, you understand its benefits (and may even enjoy it). But some days it becomes a four letter word in your vocabulary. Recently I read a post from a fellow blogger who was asking her readers about her new posting frequency. She had committed to posting more often, so she had set up a schedule. However, sticking to the much-increased schedule was wearing on her and killing her spontaneity and creativity. In other words, she felt like it was making her writing worse. Consistency is more important than frequency. Set up a schedule that you can handle — perhaps once or twice a week or even less often at first. Then stick to it and post quality content on your publishing days. That doesn’t mean that you should be afraid to test out different days if you notice your analytics suggesting you do so. If you find yourself posting anything just to stick to your schedule, stop! Consistency is important because search engines send crawlers around the Internet to find content. If they know when to look for your new content, they’ll find it faster and make it available to people searching for those topics. That doesn’t mean you have to sit down and blog on set days or at set times. If you come up with ideas on a whim, jot them down. Sit down and blog when the mood strikes and schedule the post to publish on one of your scheduled days. You don’t have to write a full post; get a draft down with all its imperfections and smooth it out for publishing later. With consistent publishing, you can let your readers (and search engines) know when to expect new content. However, you can still write or blog when you’re in the mood by working ahead. I keep a dry erase board in my office and a notebook on my phone to jot down ideas for posts and descriptions. If a trending topic catches your eye, adjust any scheduled posts you have so you can blog about the topic while it’s still hot. Do You Mow Your Blog? Do you follow a blogging schedule? Have you adjusted your schedule over the past two years? Is your schedule purely data-driven or a good fit for you? Content is King — or is Conversation? If you produce awesome content and no one is around to consume it, is it still king? I’m reading an intriguing book right now, Information Doesn’t Want to Be Free by Cory Doctorow. It’s a thought-provoking read about how we create and exchange value in the digital age, but one quote in particular thus far caught my eye. Doctorow has a good point. He notes that the telecommunications industry — companies that let people talk to each other — has always outpaced the entertainment industry, including a $270 billion advantage in 2011-2012.^ What is the Internet besides a gigantic conversation? This insight made me reconsider the widely accepted adage of today — content is king. Of course, it’s important. You can drive all of the traffic in the world to your website, and if there’s nothing there, it won’t help. However, you do have to drive people to your website or storefront or studio, and great content alone won’t do that. You have to create — and engage others — in a conversation. So the question remains… If you produce awesome content and no one is around to consume it, is it still king? Is content or conversation king? How do you drive traffic to your content? What’s more challenging: creating great content or driving traffic to it? 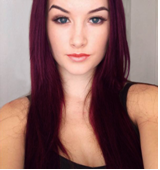 CCC welcomes Eve Haugen to the blog! Anyone with a website (or blog) is always looking to improve his or her search engine optimization (SEO), and of course, you don’t want to wait to see the results. Insert quick SEO — tips and tactics to give you a quick boost in your search rankings and website traffic. Eve’s here to share her knowledge on the subject and dispel ten common misconceptions about the practice. Enjoy! The science of SEO is constantly evolving. Although a long-term strategy, it can also yield quick results with the right tactics. While there is a range of tips on how to get around quick SEO, the misconceptions about it are galore and the people spreading such rumors are the ones who have hardly dabbled in it. So, here are some of the SEO myths – If you are alert enough, you will immediately package these practices in a box and throw them away. Google will NOT build strategy for you: This is a well-followed mantra of website building. You build a website fattened with content and you expect traffic to flow into it. Well, it doesn’t! That is why SEO professionals are still needed. You need to pay attention to the best keywords, develop your user’s experience (UXD/UED), insert links and ensure fast page downloads so that your website stands out. Stuffing your page with unnecessary keywords can instantly get you a better rank: Well, that is not a good SEO tip. Keyword density – the number of keywords found on your page that determines the relevancy of your work – should never exceed a certain maximum. 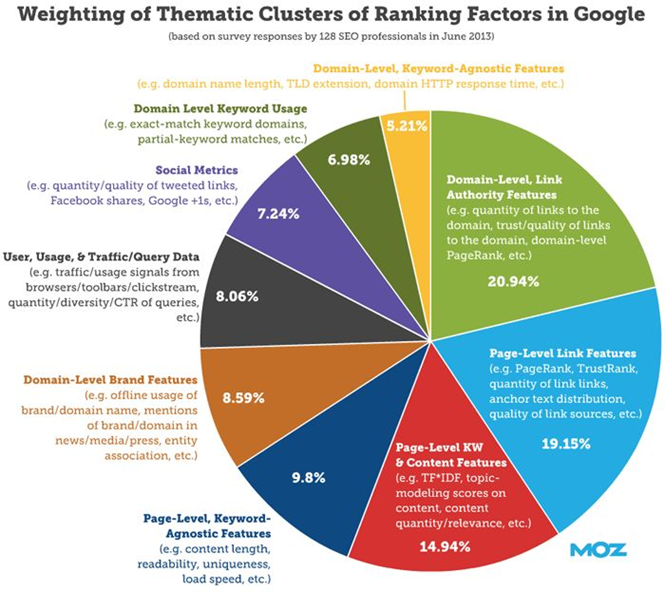 Keyword density may be an important metric for ranking a page, but it isn’t the only one. Your keywords also need to be relevant to your material. Don’t add them randomly because they always stick out. Adding unnecessary promo boxes and ads can give you more clicks: Times have changed, and with it, mindsets. It’s best to do away with these ads as they hardly generate extra clicks. People are no longer interested in them. Guest posts do not matter: Hell yeah, they do! Moving posts from guest bloggers to your page is an excellent technique to generate quick traffic. Recently, Matt Cutts, the head of Google’s Webspam team, drew attention to the importance of guest posting and promoted it on his blog. Well, he said it, so is there any reason to doubt it? Link building can be ignored: A content marketing team greatly benefits from a link builder. Link building is an important aspect of Google’s ranking schemes that give you a greater visibility to the outside world. Especially back links – when you acquire back links in relation to your content, you make it visible to a larger audience. It’s a much needed SEO tip for good promotion. Quick SEO is all that matters – after all it’s just a one-time strategy: SEO in its essence is a long-term process that requires immense planning, but in case you’re in a hurry, quick SEO tips can be of great use. However, these tips should only be used once in a while. SEO is just a one-time strategy – do it quickly and get it done: SEO requires a continual investment of your time and energy. Otherwise, your website’s content just rots. Continuous SEO integration helps in keeping the competition away and allows you to keep track of the continuously evolving techniques. We can miss out on the social buzz – after all we are in a hurry: Google doesn’t care about the number of Facebook shares or your Twitter followers but successful social buzz can put your content right in front of your target market. It helps in building links, search engine discovery and spreading of content to the outside world. The flashier, the merrier: Excessive use of flash content can go against your desired SEO results as search engines mostly understand the language of HTML. SEO is easy so anyone can do it: SEO is not child’s play; even quick SEO techniques require an able hand who knows how to implement them. It requires care and analysis and well-informed people can help you with this. Well, these are just a few misconceptions about SEO techniques, which stem from people who are still fixated on black hat SEO. These unethical techniques are supposedly cheap and easy to work with, but they can cost you dearly. Remember, quick SEO can work for a certain time frame. Once, twice – that’s okay. But never fall into the allure of quick SEO all of the time. Eve Haugen is a freelance writer, whose passion in writing drives her to craft articles that are engaging, informative and meaningful. Her partnership with QuickSEOResults has given her an opportunity to take her writing to a new level. Spring is in the air! Maybe it’s the rising temperatures or longer days, but optimism abounds this time of year. Spring cleaning? Don’t forget your business! CCC would love to help you freshen up your communications. Get Organized — Go through your paper and electronic files and form a system. The point is for you to be able to find what you’re looking for quickly and efficiently. Try alphabetizing file folders or creating sub-folders to further corral all of your pictures and electronic documents. Don’t forget to back up your electronic files! Review Your Online Home — Take a fresh look at your website or blog, or ask an unbiased third party to help out. What catches your eye? Is your site easy to navigate? Does the look and feel still work or is it time for a change? 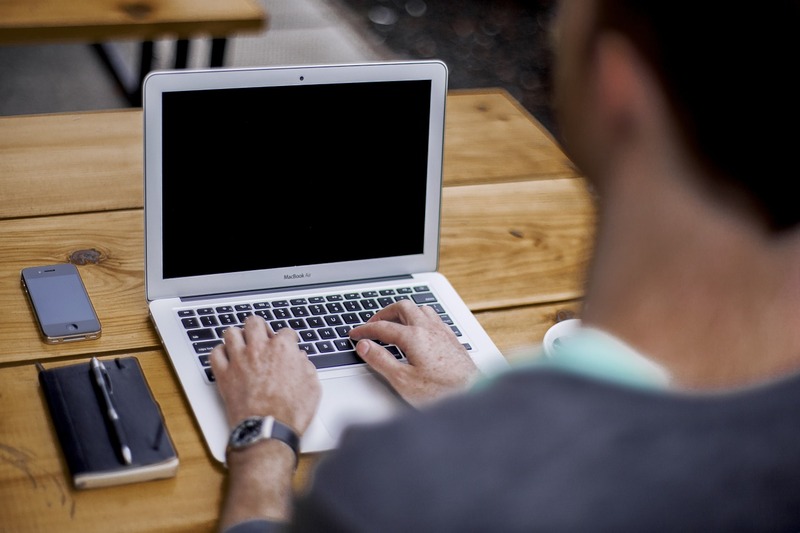 If you don’t have a blog, now’s a great time to start one. Get Social with a Strategy — Review your social media presences. Do you like what you see? Be honest — are you providing your community with value? Are your efforts producing the results you want? If not, step back and think about what you want to accomplish. The Right Fit — While we all want to grow our businesses, sometimes downsizing can help spur growth. Are you stretched too thin on social media? All platforms aren’t the right fit for all businesses. Choose your platforms wisely to get the highest return on investment. Remember, social media isn’t free! First Impressions Matter on Social Too — Your profile, profile picture and cover photo are often the first impressions that a visitor — potential customer? — has of you on social media. Make a favorable first impression! Refresh any profiles, profile pics or cover photos that need it. Note that some platforms have changed dimensions for 2015. Related reading: Have you found your social media voice? // Should You Slim Down (on Social Media)? // What’s in a social media profile? Everything. Revisit Your Customers — Take a fresh look at your customers. Are you providing the right products or services to help them achieve their objectives? Do plans or strategies need a fresh look? Is your customer still a good fit for your business? Companies and brands change, so you need to be fluid too. Look in the Mirror — Look at your brand: your logo, colors, font(s), name, reason for being… everything that makes you who you are. Does it still fit? Has your brand evolved but your look and feel stayed the same? It may be time to rebrand or just refresh. Freshen up Your Communications — Has your message grown stale? Are you having trouble reaching your target audience(s)? Are you sending out the same emails, newsletters and blog posts? Freshen up your content to re-energize your brand and re-engage with your customers, prospects and employees. We hope that you enjoy the related reading links, which should help you tackle some of the aforementioned business spring cleaning tasks. Or you can search the CCC blog in 3 ways: search box (upper right-hand corner), Categories and Tags (scroll down the right-hand sidebar). If you have a question about your particular project or a subject in general, just ask! We’re here to help. Not sure how we can help you? Check out a sampling of the marketing, writing and social media services we offer. What part of your business are you going to spring clean?